Start your vacation with a bang with this stylish silver travel wallet. 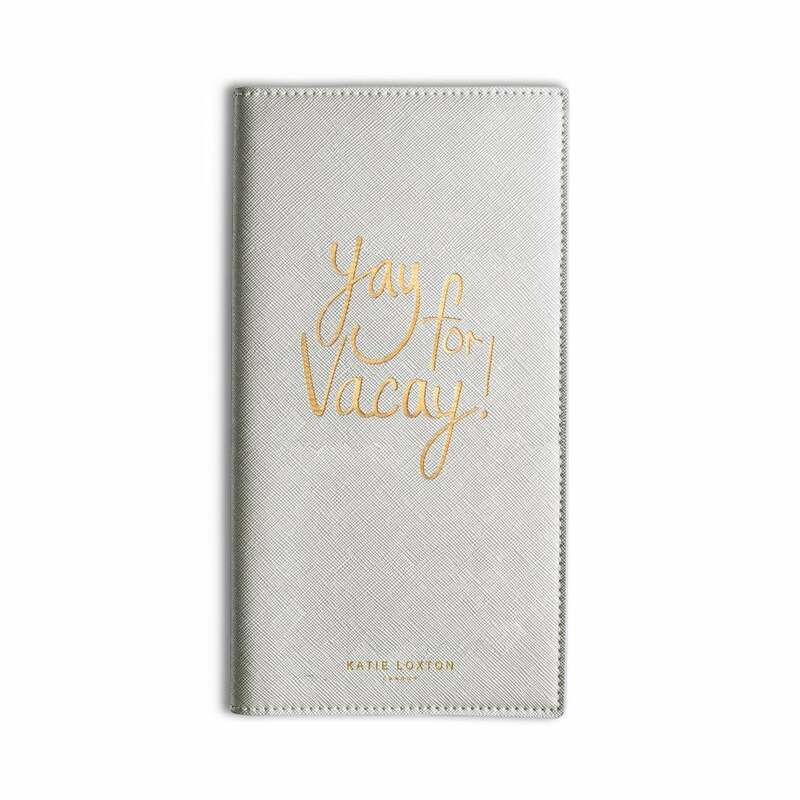 This brand new passport holder comes in metallic silver, finished with a golden sentiment. Presented in a beautiful Katie Loxton gift bag.